Diving Yonaguni Island, famous mainly for the mythical underwater ruins, you’ll find plenty of awesome drift dives and in season, large schools of hammerhead sharks. The water here is among the clearest you’ll see anywhere in the world. 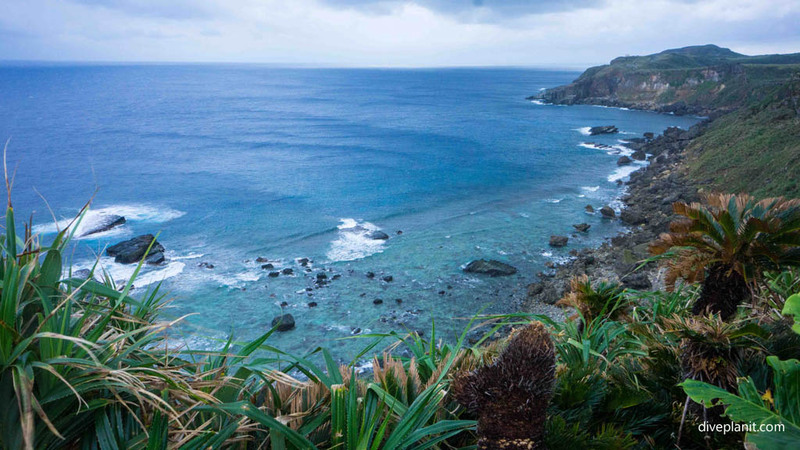 Yonaguni Island is the westerly-most point in Japan, on a clear day you can see Taiwan, only 100km away. 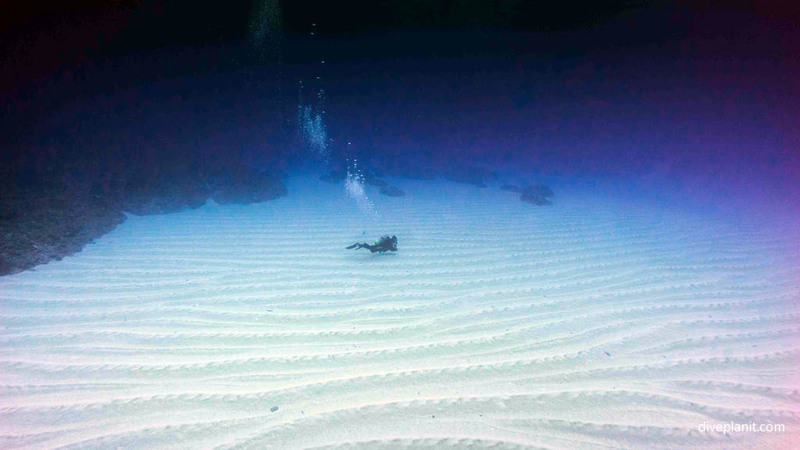 It’s famous mainly for the mythical underwater ruins found here, but there are plenty more beautiful dive sites to explore here and in season, large schools of hammerhead sharks. 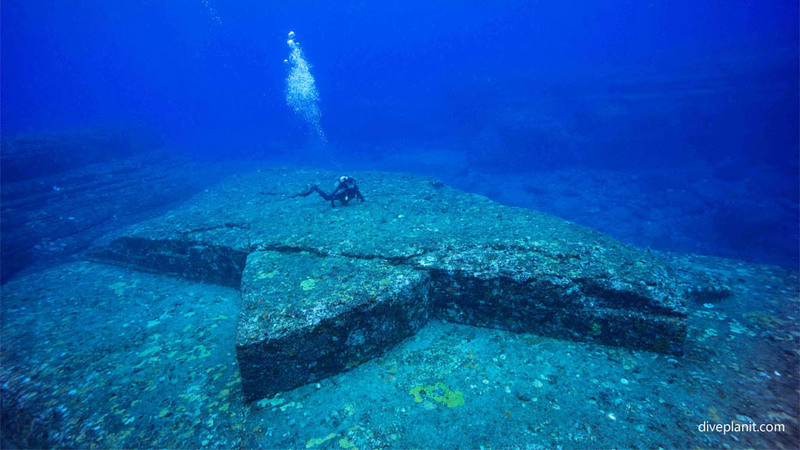 Yonaguni is the western-most island in Japan’s southwestern-most prefecture of Okinawa. Being a remote pelagic island means the surrounding water is remarkably clear and surprisingly warm thanks to a warm tropical current making its way north from the Philippines along the east coast of Taiwan. 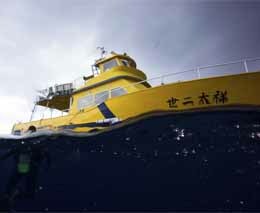 In fact, across all of Okinawa’s islands, the water rarely gets below 21 degrees Celcius. 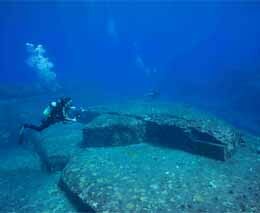 Yonaguni is at its warmest between July and November – 28 to 29 degrees. High winds in January can create rough conditions, and throughout the year, being a pelagic island, some of the dive sites (including the monument) are subject to strong currents. There is one dive operator here, Sou-Wes Diving, run by ‘Shorty’ Aratake, and his father Kihachirou Aratake, who discovered the Yonaguni Monument back in 1981. 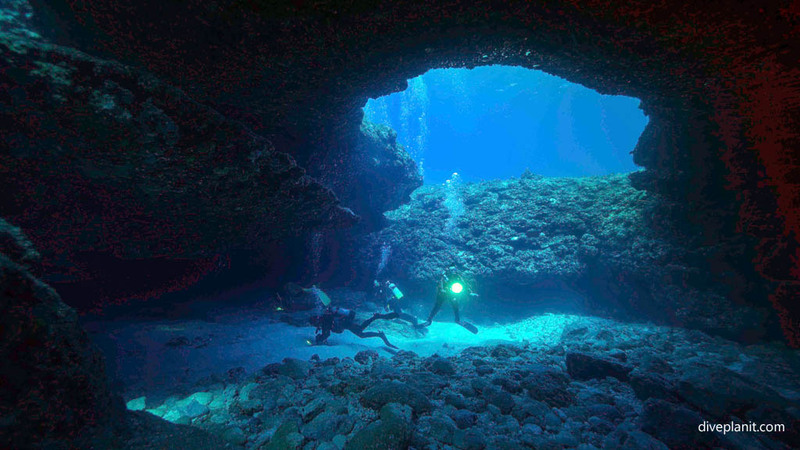 There are close to 70 dive sites around the island, and with both a summer and winter harbour, Shorty and Kihachirou can usually find a sheltered dive site even in rough conditions. 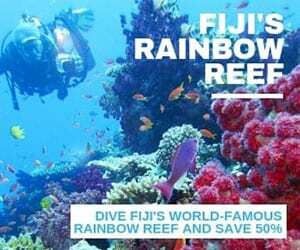 The main feature of all of these sites is the incredible water clarity, at least 50m, so clear you can look up from a depth of 30 metres and see the dive boat. Some sites are undulating fields of coral, interspersed with the occasional sharp drop off or rivers of white sand. Others are a series of large boulders, caverns and swim-throughs with, pebbled floors and walls covered in large colourful fans. 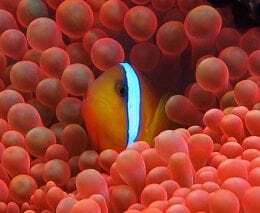 Expect to see lots of butterfly fish, yellow striped snapper, turtles, moray eels, anthias and anemone fish. 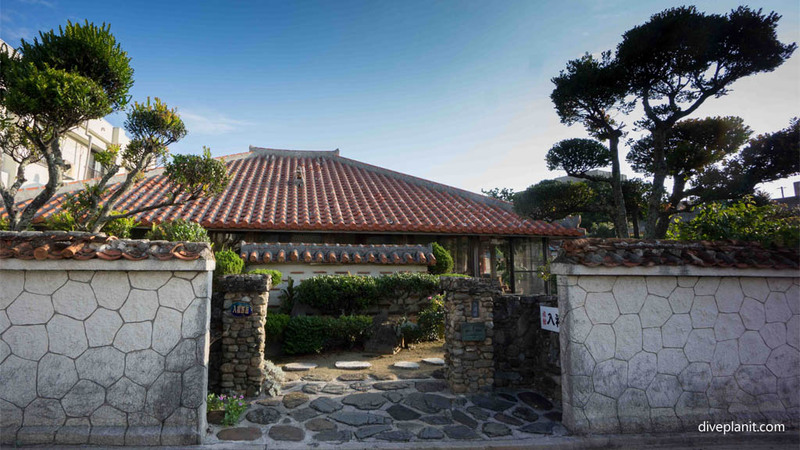 While there are a number of hotels and traditional Bed and Breakfast-style Ryokan, Sou-Wes offer the most convenient of accommodation options, at their Irifune Hotel and the slightly more luxurious Irifune Annex Bamboo Villa. 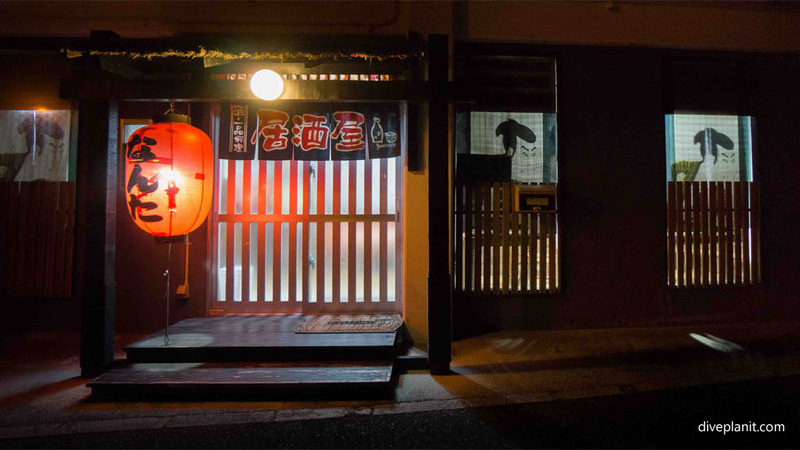 The Irifune Hotel is more central, a two-minute walk to the dive shop and provides all meals, both western and Japanese-style rooms and free wifi. If you’re diving every day of your visit then all meals will be provided by the Irifune Hotel, cooked by Shorty’s mother. Each day is a surprise, it could be anything from ramen, katsu pork to fried fish or Japanese-style curry. They also serve beer on tap and it’s roughly $2.50 per glass. If you’d like a change from the Irifune dining room, there are also a few Izakayas (pubs) within walking distance from the hotel. There is a public bus service, but if you want to spend a day exploring the island the best option is to book a taxi. Sou-Wes Diving will provide airport transfers and drive to and from the dive boat each day. 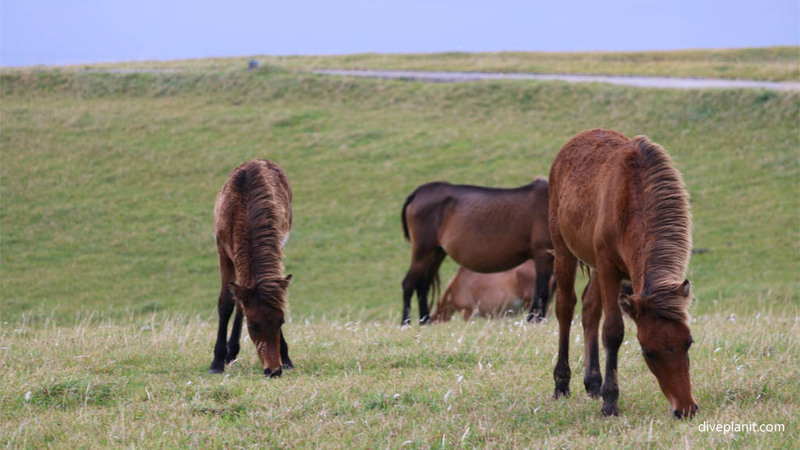 Yonaguni Island is also famous for its population of wild horses, its rather wild looking landscapes and locally-brewed ‘awamori’ saki, distilled sake – a mere 60 per cent proof. 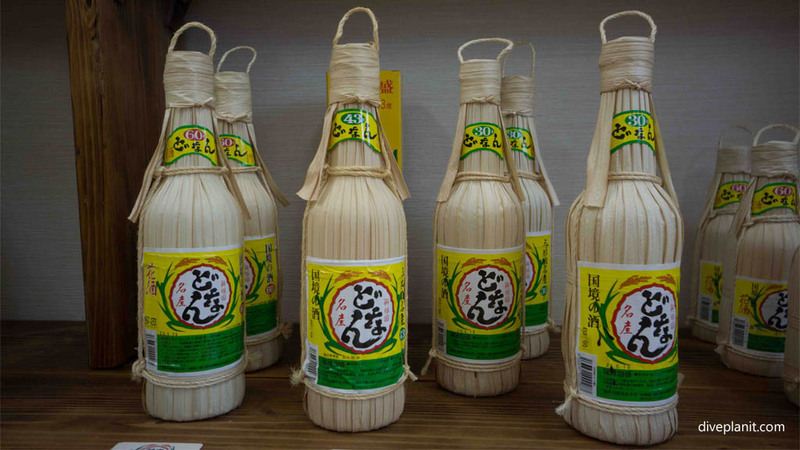 Be sure to visit the Hanazake distillery to see how the local fire water is made and have a taste test. On the east and west tips of the island there are large parks overlooking the stretch of coastline in either direction, with walking trails down to the beach and along the coast. 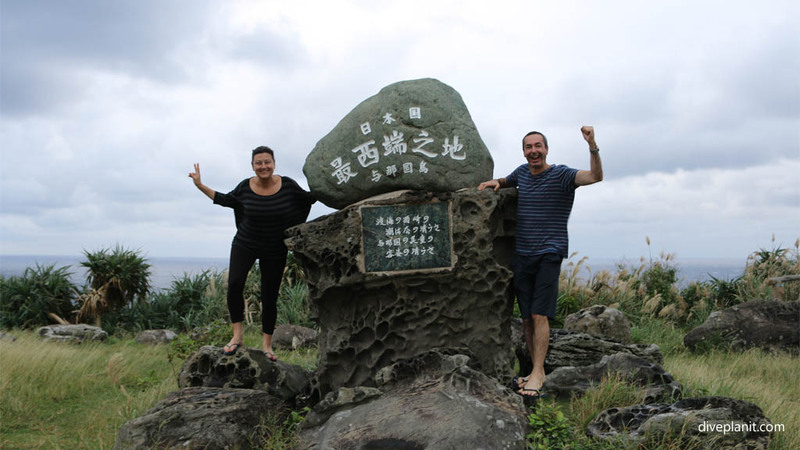 On the west coast, it’s traditional to take a photo by the plaque announcing the western-most point of Japan – and of course if it’s a clear day look over the 100km of sea for a glimpse of Taiwan. In the summer harbour, close to the dive shop there’s a great snorkelling spot where you’re bound to see a few turtles. ANA have daily connecting flights to Naha, Okinawa from Tokyo, but as Naha is an international airport, you can also fly here directly from Singapore, Taipei, Seoul, Shanghai and Hong Kong. Ryuku Air Commuter (a subsidiary of JAL) operates daily 90-minute flights to Yonaguni from Naha, Okinawa’s international airport. 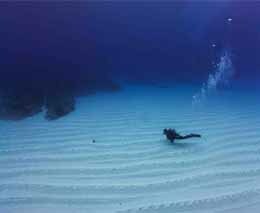 While a lot of the dive sites here are quite shallow (including the monument) it’s best to visit Yonaguni with a few dives under your belt so that you can explore the best sites with confidence. Take Shorty’s advice – he will find you the best dive sites for the day according to conditions.